Strontium carbonate precipitate. 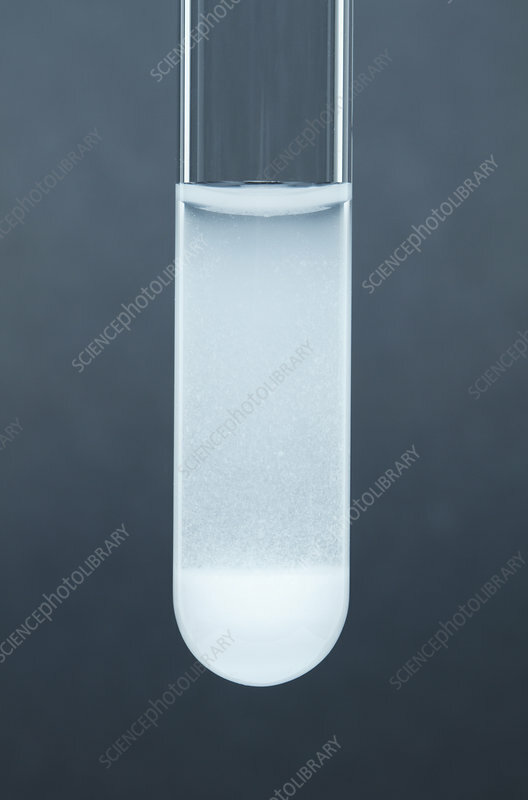 Sodium carbonate was added to a test tube containing strontium chloride. Both solutions were 0.5 M concentration. Strontium carbonate precipitate has been formed as a result: SrCl2 + Na2CO3 -> SrCO3 + NaCl. This is an example of a double displacement reaction.